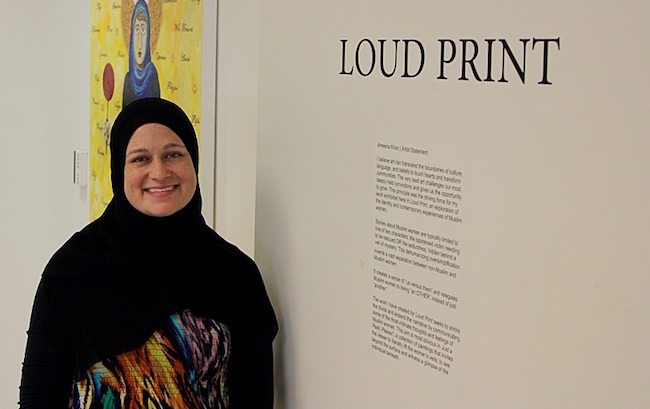 Ameena Khan of Lutz said Muslim women like her are often misrepresented as victims, and because of this, she has created an art exhibit aimed at breaking down those stereotypes. Khan’s gallery is 40 pieces gallery and she said she “wanted it to be about the women and their stories,” which would work to create an open dialogue about Muslim women. “It feels like there’s a barrier, and I want to break that barrier,” she said. Khan, who is 36 years old, said she uses her artwork to begin conversations about Muslim women. 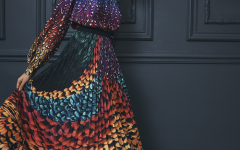 Her paintings feature a wide variety of Muslim women wearing hijabs. One of Khan’s paintings displays a woman struggling to keep her head upright due to the size of her yellow hijab, which is meant to represent the struggles Muslim women face while publically wearing a hijab. Her exhibit, titled “Loud Print,” is on display at the Carrollwood Cultural Center and there will be a free reception open to the public Friday. The exhibit will be open until Aug. 24.